The way your backyard is designed reflects your sense and taste of luxury. It depicts your lifestyle and artistic choices. With meticulous planning, you can transform your backyard into an exquisite pool area where you can spend memorable moments with your loved ones. Prior to planning your pool construction, you must decide on the pool design. According to the changing pool trends, pool designing trends too keep changing. The design of your pool cannot be dictated just by your choice but it also depends on a number of other factors including space available. This is one of the most important factors determining your pool space, shape, and size. There are a variety of pool shapes including odd shape, rectangular, and many other. People these days want to go for beach like and infinity pool types. However, everything depends on the amount of backyard space you have got and the amount of backyard space you wish to dedicate to the pool area. Another factor determining your pool design is the specialty features you wish to include in your pool. For instance, some people want a detached spa around the pool while some want island platform or fire places in the middle of the pool. There are many who want beach benches inside the pool to be used as sun decks. All these features determine the final design or look of your swimming pool. The next thing which decides how your pool will look is the use of the pool or the purpose for which you are going to use the pool. You should also consider the number of people who wish to use the pool. For some pool is used for swimming and exercising whereas others intend to spend a lot of time around the pool with their loved ones, on summer afternoons. You may want to organize pool parties in future or just use it for everyday swimming. Hence, the purpose for which you want the pool constructed also comes into play. The pool style you decide to go for dictates the number of efforts you need to put in to maintain it. The degree of maintenance also depends on the material used to construct your pool.Hence, if you don’t plan to spend too much on maintenance then you need to select the design, style, and material of the pool accordingly.Fibreglass pools will ensure that the water is free of algae and makes the surface look smooth. Contacting a professional and experienced company offering pool designs in Toronto helps you construct a swimming pool which perfectly meets your requirements. 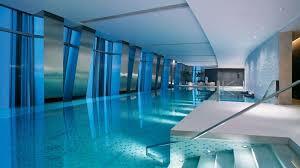 You can get all the needed guidance with regards to the pool style and shape to come up with a fantastic pool design. A swimming pool is a one-time investment which when done in a planned way reaps high returns for years to come.